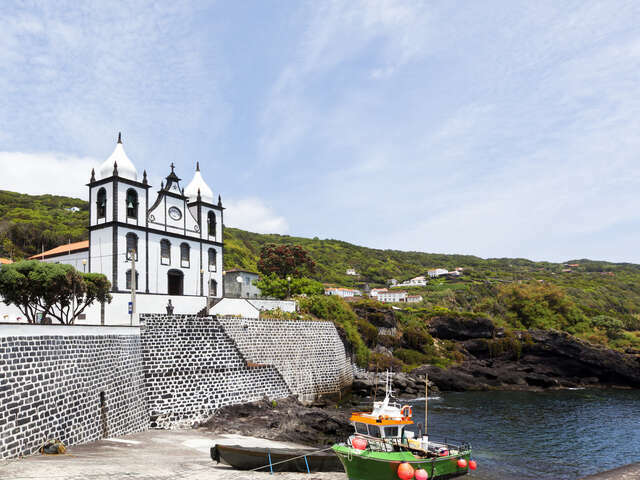 Start your trip to Azores, Portugal | Travel Expressions Ltd. The Azores, officially the Autonomous Region of the Azores, is one of the two autonomous regions of Portugal, composed of nine volcanic islands in the North Atlantic Ocean. Its main industries are agriculture, dairy farming (for cheese and butter products primarily), livestock ranching, fishing, and tourism, which is becoming the major service activity in the region. The main settlement of the Azores is Ponta Delgada. All the islands have volcanic origins, although some, such as Santa Maria, have had no recorded activity since the islands were settled. Mount Pico, on the island of Pico, is the highest point in Portugal. The Azores are actually some of the tallest mountains on the planet, measured from their base at the bottom of the ocean to their peaks, which thrust high above the surface of the Atlantic. The climate of the Azores is very mild for such a northerly location, being influenced by its distance to continents and the passing Gulf Stream. Due to the marine influence, temperatures remain mild year-round.